Firstly, congratulations to our columnist of the past 40 years, Roger Evans, for his well deserved OBE in the Queen’s Birthday Honours list. Roger you have, in your very own inimitable way, informed and entertained us in equal measure over the years by not only tackling the big questions of the day, but uniquely interpreting them as to what they mean down on the farm. This is topped by your innate ability to pick up on the minutiae we all see from day-to-day and put a humorous spin on it to gently coax out that wry smile. 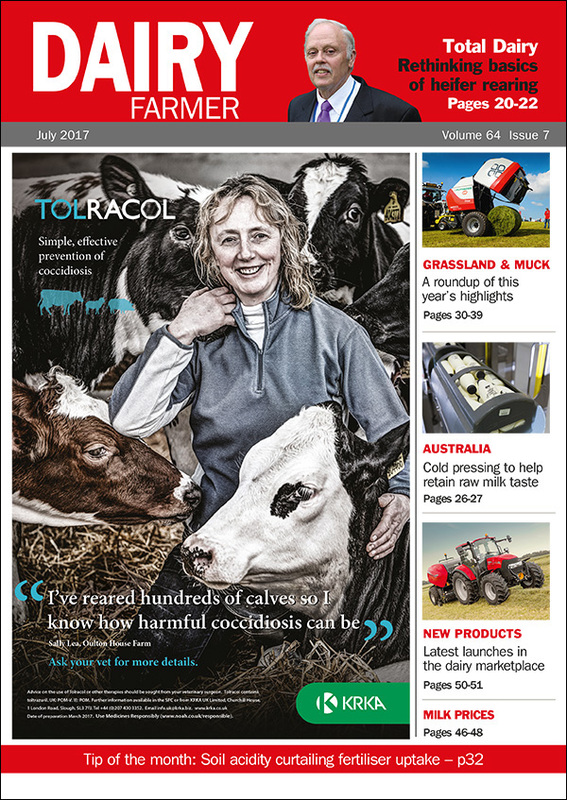 Such is your personal following that it means Dairy Farmer has inevitably been read back-to-front for ages! Well done! Secondly, take a look at those markets! Butter at record highs and even mild cheese at £3300 is closing in on its former peak of £3450. Who would have thought it? But all this has to be set against the inherent yo-yoing volatility which destabilises the industry. Making a first stab at tackling this is Yew Tree Dairy, which has just offered its ingredient suppliers the option of a two-year price deal running between this August and July 2019 of 27.3ppl. Producers could commit from 5% to 60% of their milk, and hopefully such a contract will give them that much needed reassurance against which to set any future investment. Thirdly, as Brexit Secretary David Davis goes out to do battle with chief EU negotiator Michel Barnier, there is an even greater nervousness as to where it will all end. Who knows? Back home we do, of course, have a new Secretary of State, not noted for his agricultural credentials, but not without his own strong views. The big job for the next few weeks will be to ensure the industry’s voice is heard in the impending chaos, and that our new Defra boss is out there fighting farming’s corner!